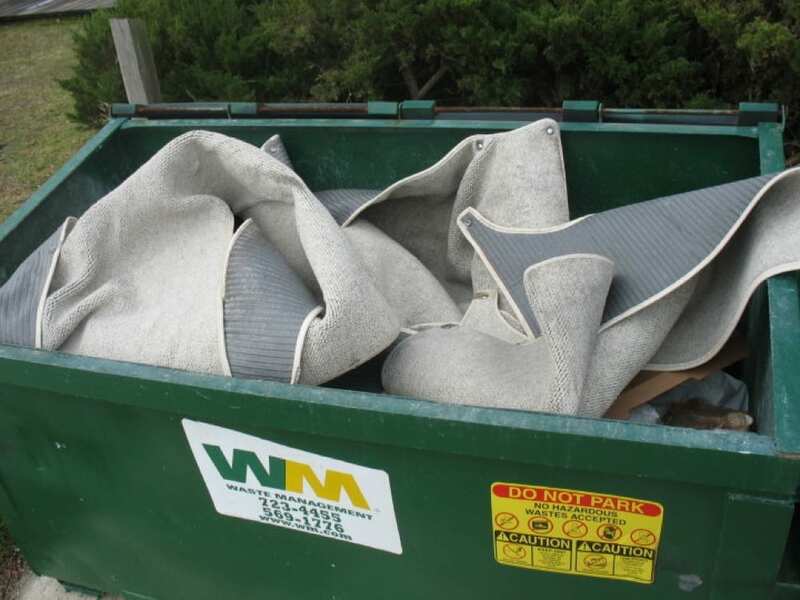 I got a call recently from a gentlemen who was fed up with the snap in carpet in his Carver Yacht holding dirt and water. He gave me a call and made an appointment to meet up and have me digitize his boat. Within about an hour I scanned the cockpit, fly bridge, and step areas on the boat. 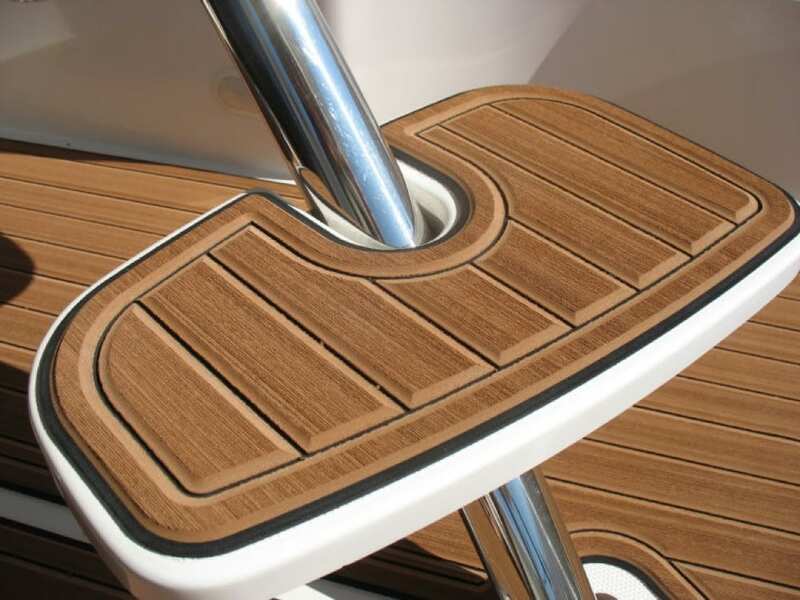 The boat owner had gone with real teak decking on his last boat and while he liked the look he hated the maintenance that came along with it. After scanning the boat I went over a few different layouts of how we could design the teak. Some customers like the planking to run all the way to the edge of the pad while other like to have everything bordered out. 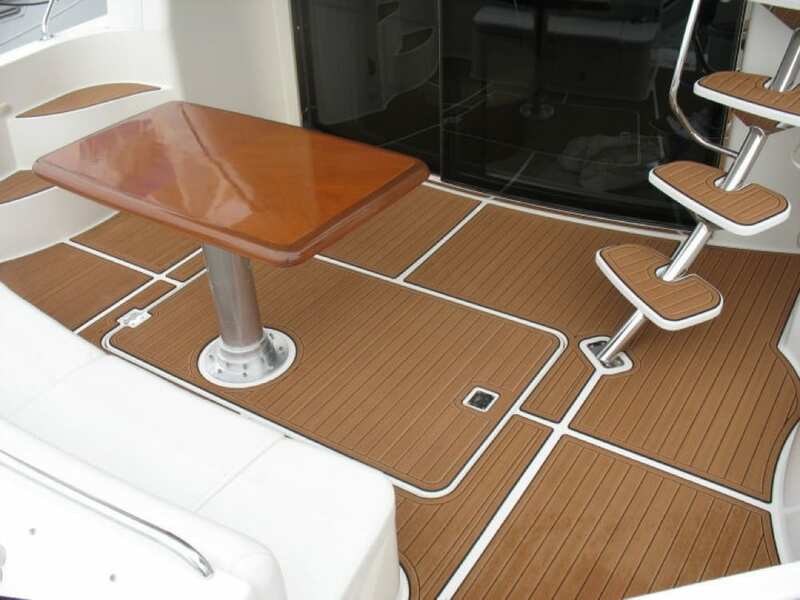 In this instance, the owner wanted to go with the borders and we used the existing non-skid pattern molded into the deck for a pattern to follow. 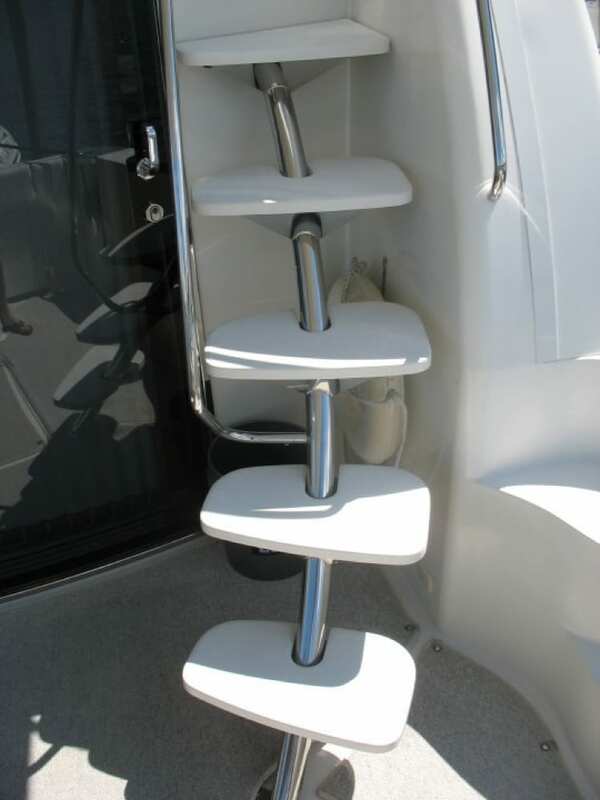 This allows water to drain and looks very clean. After working out all the details I swung by and installed the SeaDek, the owner was out of town at the time, but amazed out how nicely everything came out. 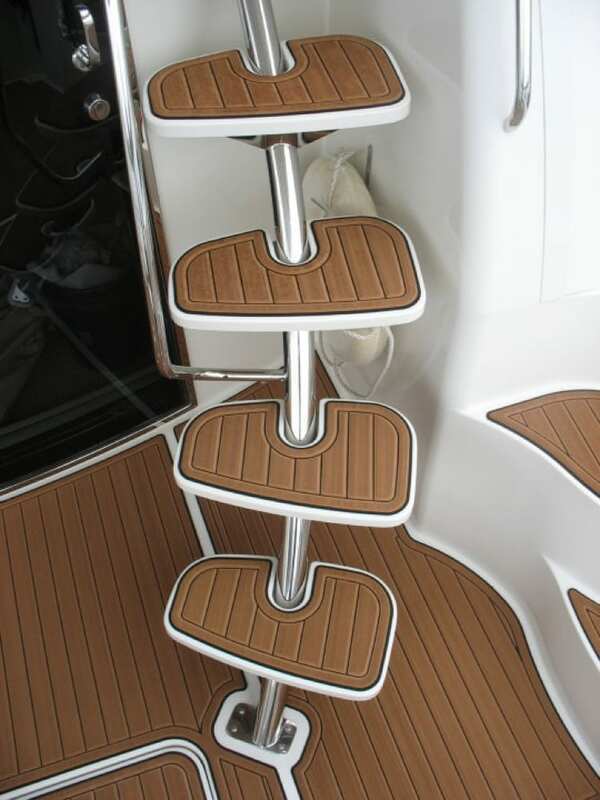 If you are interested in having faux teak SeaDek designed for your boat contact Castaway Customs via email at info@castawaycustoms.com.